invaluable aid in their efforts to come to terms with the novel and for those of their elders who admire Lawrence it will provide a convenient and interesting way of discovering the kind of reactions he has provoked in the last fifteen years. 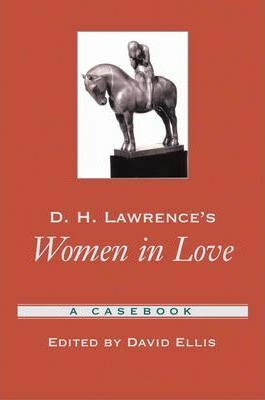 The collection also contains a photograph of the statuette that was quite clearly the inspiration of Lawrence's description of Loerke's Lady Godiva, along with a note from the scholar who has only very recently announced its discovery. JOHN WORTHEN: The First "Women in Love"
David Ellis is Emeritus Professor of English Literature at the University of Kent at Canterbury. His previous books include D. H. Lawrence: Dying Game 1922-1930 (Volume 3: The Cambridge Biography of D. H. Lawrence).